Chaparral Mid-Profile Fifth Wheels have been the flagship fifth wheel at Coachmen RV for over a decade. Chaparral’s are designed from the inside out for easy and adventurous travel. 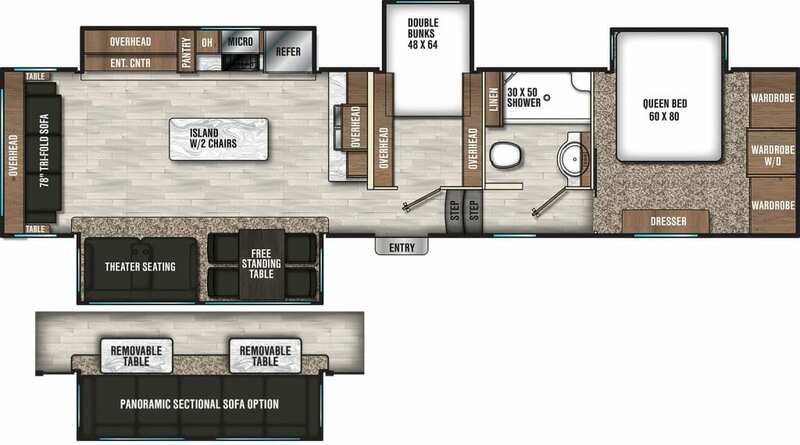 Roomy bedroom suites, enormous storage space and exciting aerodynamics and weights will make weekend or month long camping trips leaving you wanting for more! Chaparral Mid-Profiles come well equipped with residential features and elegant interiors that surround you with a home-like feel.